Why did we trust free enterprise to clean up the oil spill? 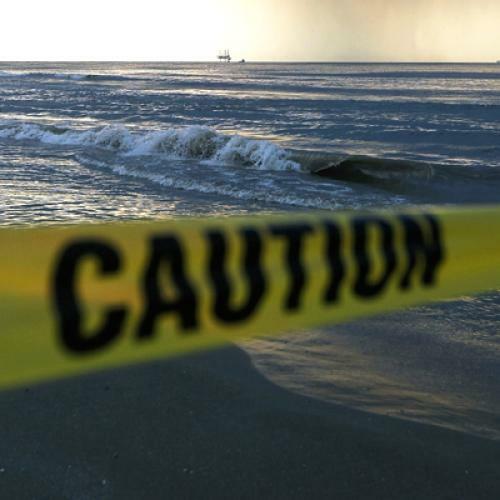 WASHINGTON—So who is in charge of stopping the oil spill, BP or the federal government? The fact that the answer to this question seems as murky as the water around the exploded oil platform in the Gulf of Mexico suggests that this is an excellent moment to recognize that our arguments pitting capitalism against socialism and the government against the private sector muddle far more than they clarify. There are many tragic ironies bubbling to the surface along with the oil. Consider the situation of Gov. Bobby Jindal of Louisiana, a conservative who devoutly opposes the exertions of big government. "The strength of America is not found in our government," Jindal declared in his response to President Obama's 2009 address to Congress. "It is found in the compassionate hearts and the enterprising spirit of our citizens." But with his state facing an environmental disaster of unknown proportions, Jindal is looking for a little strength from Washington. His beef is that the federal government isn't doing enough to help. "It is clear we don't have the resources we need to protect our coast," he said earlier this week, expressing his frustrations with "the disjointed effort to date that has too often meant too little, too late." You can't blame Jindal for being mad. But will he ever acknowledge that "compassionate hearts" were not sufficient to coping with this catastrophe? Did he ever ask BP how prepared it was for something like this? Or was he just counting on the company's "enterprising spirit"? For its part, the Obama administration has not exactly sent a consistent message. On Sunday, Interior Secretary Ken Salazar proclaimed outside of BP's headquarters in Houston: "If we find they're not doing what they're supposed to be doing, we'll push them out of the way appropriately." Not according to Adm. Thad Allen, the national incident commander. Speaking the next day at the White House, Allen observed: "To push BP out of the way, it would raise a question: Replace them with what?" Exactly. While Allen may not be a political philosopher, he spoke with the sophistication of one in their ranks during an interview with CNN. "What makes this an unprecedented anomalous event," he said, "is access to the discharge site is controlled by the technology that was used for the drilling, which is owned by the private sector." So there you have it: "Do something!" citizens shout to a government charged with protecting the environment in and around a Gulf of Mexico that is nobody's private property. Yet the government, it seems, can't do much of anything because the means of containing this unprecedented anomalous event are entirely in the hands of a private company. It was trusted to know what it was doing with complicated equipment that, it turns out, BP either didn't understand very well or was willing to use recklessly. Belatedly, the Obama Administration has realized that citizens can never accept the idea that their government is powerless. It's making moves to show that it's in charge, even when it's not. The president plans to visit the Gulf again, and on Wednesday, the White House called in a group of columnists for a briefing with Allen, who is earning a reputation for bluff candor. He spoke as the order was given to try to plug the well through a process colorfully called "Top Kill." Allen was direct in saying that the law clearly places the responsibility for ending this spill with BP. He added that it was "a legitimate line of inquiry" as to whether this is where power should be lodged. "Are these public goods or private goods?" he asked. "Who should produce them? This is an absolutely legitimate question." It's too bad this legitimate question wasn't asked a long time ago. Allen rightly urged that Congress' decision to place so much authority with private companies be reviewed by the commission investigating the spill. "Deregulation" is wonderful until we discover what happens when regulations aren't issued or enforced. Everyone is a capitalist until a private company blunders. Then everyone starts talking like a socialist, presuming that the government can put things right because they see it as being just as big and powerful as its tea party critics claim. But the truth is that we have disempowered government and handed vast responsibilities over to a private sector that will never see protecting the public interest as its primary task. The sludge in the Gulf is, finally, the product of our own contradictions.